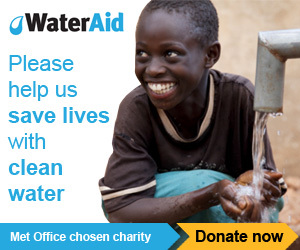 This years multi-day coast to coast type Water Cycle Challenge for WaterAid was, well, nowhere near the coast actually. 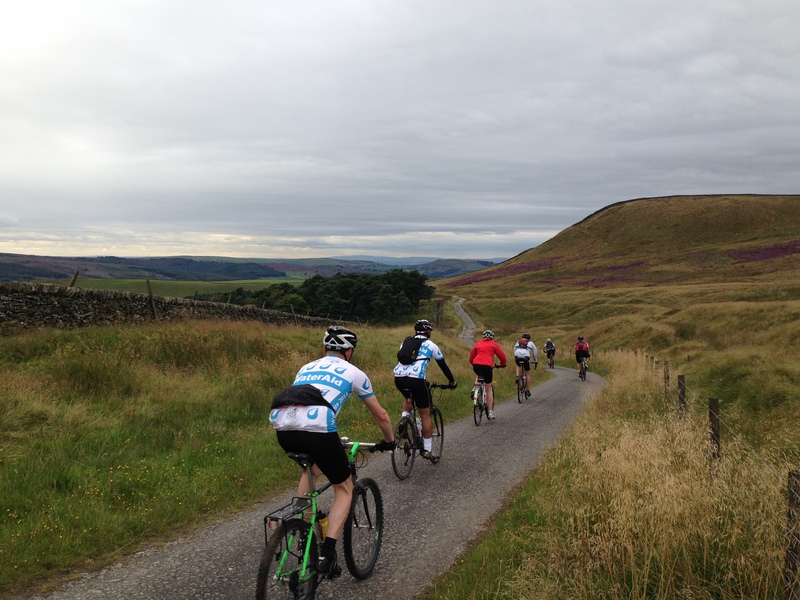 Now in its 5th year, the intrepid riders of Yorkshire Water and our partner organisations were looking for something new to test their legs on so, with the mighty Pennines in our back yard then what better than the Pennine Cycleway Challenge! After meeting at our head offices at Buttershaw, the usual kit explosion was slowly packed into the hire vans kindly provided by Northgate Vehicle Hire before steadily making the uneventful journey down the M1 to Derbyshire. Starting at Etwall Leisure Centre, a hasty sandwich next to the van saw us off and via some undulating minor lanes to Ashbourne and onto the Tissington Trail, a lovely trail that snakes its way through the peaks towards Buxton. A tough climb out of Buxton gave way to a great section of on road / off road dropping down into Whaley Bridge before reaching the evenings accommodation at Glossop Travelodge. This converted mill was a great option for cheap, friendly and clean accommodation en-route and with a handy Wetherspoons attached saw us right for a quick feed and a few beers. Weary legs were given no respite after a short section through Hadfield brought us onto a muddy but hard packed trail alongside the Woodhead Reservoirs. The scenery really is worth admiring here and as you reach the end of the reservoirs and swing north to climb the off road trail over the Woodhead pass there's plenty of opportunities to stop and enjoy the view. Some over exuberant mtb skills saw some of our team hit the deck but no harm done, apart from a broken spoke or two which was dealt with by the very friendly staff at Albion Cycle Shop in Holmfirth. A couple of cakes might have been consumed at the great cafe here before picking our way with some tricky route finding through Meltham and Slaithwaite and onto our lunch stop at the Rushcart Inn nr Sowerby Bridge. Leaving Trawden the mill towns of the Pennines were replaced by the industry of Colne before joining the canal out to Barnoldswick, probably the only bit of true flat on the whole route. Yours truly had 2 punctures on this section which when arriving in Gargrave revealed a completely shredded back tyre with a bulge of innertube pocking through. A bodged repair with an old toothpaste tube (genius) led us onto the Way of the Roses route going east to west dropping down into Settle to 3 Peaks Cycles where some roadside repairs and some plastic abuse shod my steed in 2 shiny new tyres which sped us through the beautiful Dales scenary onto Clapham for lunch at the New Inn. A bit posh for us scabby cyclists but a nice lunch all the same, thankfully the sun was shining and we took over the beer garden wolfing down thick cut ham and cheese sarnies with the obligatory sampling of the local ales to prep us up for the final push. 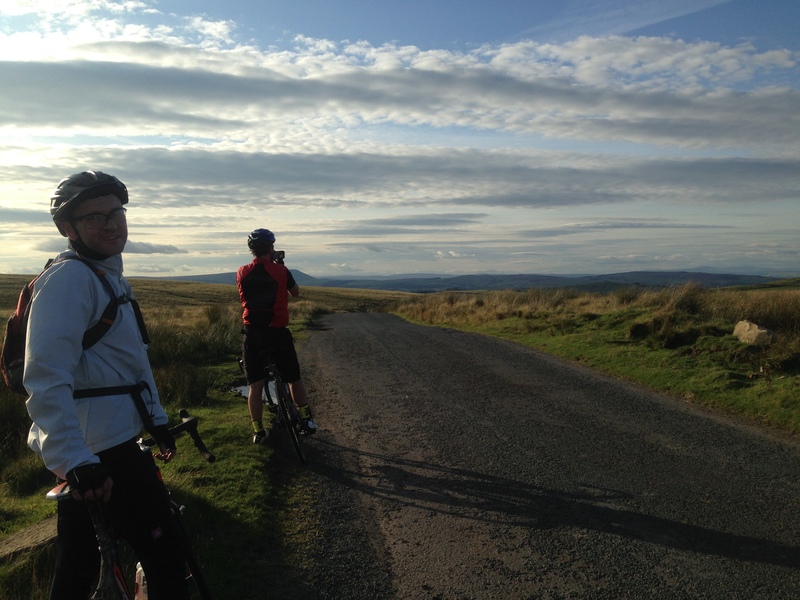 From Clapham to Ingleton and onto the climb up through Kingsdale with Whernside to the east and Gragareth – the highest point in Lancashire - to the west it was tough but great cycling. With some of our team stopping in Sedburgh, 3 intrepid / foolhardy / old enough to know better riders pushed on for the remaining 25 miles to Appleby. this section is remote, wild and beautiful with a brief interruption as you cross over / under the M6 at Orton reminding you of the civilization you have left behind. Accommodation options were limited in Appleby and we opted for static caravans at the Wild Rose Holiday Park just outside. These turned out to be a great cost effective option for the group and after bundling everyone into a minibus we headed into the bright lights of Appleby content. All in all a great route, remote in places and certainly tough going. A cross bike would be ideal, the author used a mtb with semi slicks and was glad as a full road bike would struggle.